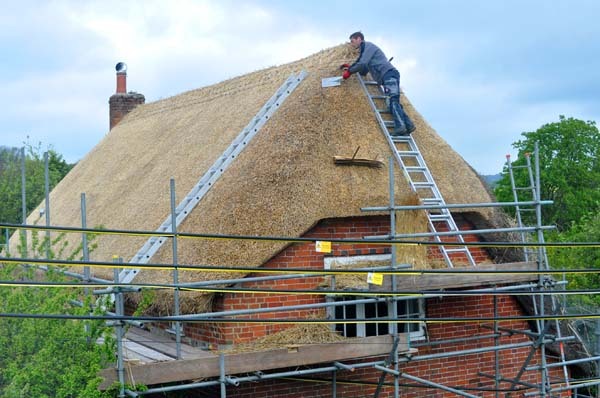 I have over 15 years of thatching experience working on a variety of thatching projects in the South of England. After leaving school I completed a rigorous 5 year apprenticeship working alongside a well respected Master Thatcher, for an established company in my home town of Fordingbridge. After completing my apprenticeship I further developed my knowledge and skill’s working alongside other Master Thatchers throughout Hampshire and Dorset. During this time I gained a wealth of experience in both traditional and modern methods of this truly skilled craft. 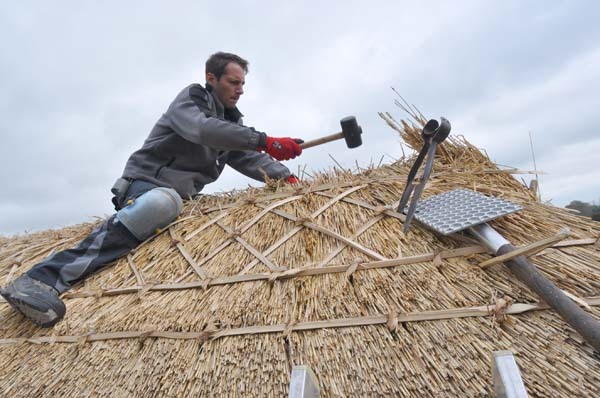 I then established Kevin Hammond Thatching in 2011 and became a member of the Guild of Master Craftsmen in 2016. 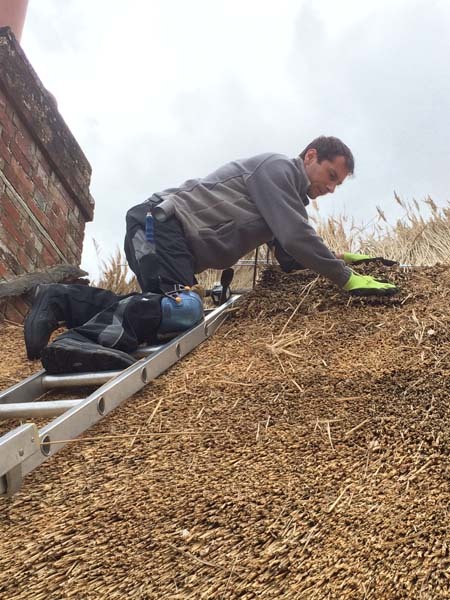 I work throughout the New Forest, stretching across Hampshire, Dorset and Wiltshire, We offer prompt and reliable thatching service. 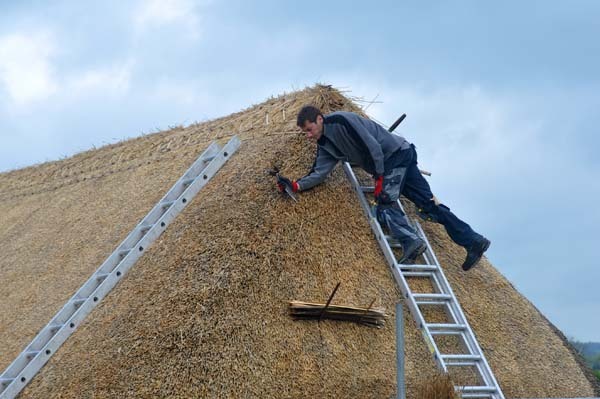 I can complete any thatching work required, including total re-thatch, flush and ornamental block ridges and repairs. 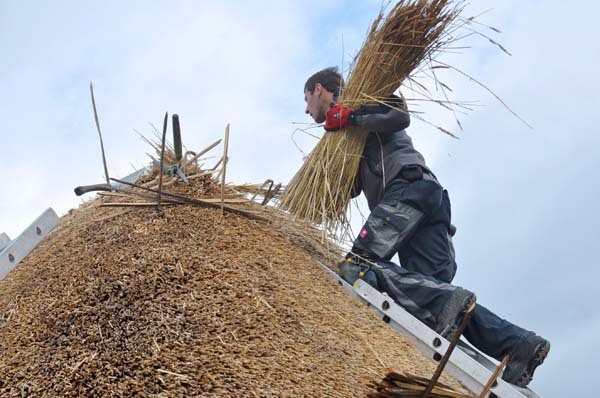 Please see my thatching services page for further information. I am experienced in working with both Combed Wheat Reed and Water Reed. To find out more about the different types of materials used visit our material page.